What are the Most Important Things Neglected in a Job Interview? Though there are plenty of job opportunities out there, there is no assurance that you can get a certain position to the field or industry that you want to belong to. In every company, there are set of rules and requirements and if you don’t fit or aren’t qualified to those requirements you will not get the chance to have a job interview nor even get hired. We all know what attire we should wear when we go to an interview. But there are times that some people go under-dressed or overdressed. Being under-dressed is a big problem and so as being overdressed. The way you carry yourself, the way how you present yourself to the interviewer will greatly affect the overall outcome of your assessment. You need to be very careful in choosing the proper interview outfit that you are going to wear. Since you have made research already about the company’s work, then you will also have an idea what kind of environment or workplace they have. You can become engaging and personable to the interviewer but you have to keep in mind that you are just an applicant and he or she is the interviewer. Don’t use casual language because that is not appropriate in a business setting. But of course, it doesn’t mean that you cannot speak in an informal language. Tone is significant when talking to people, particularly to professionals. In order to successfully communicate to the interviewer, you need to get the right tone of your language. Don’t be too formal or too informal when talking. Be mindful on how the interviewer talks to you. If he asks about technical terms about the job you are applying, you can speak formally but when you are describing about your qualities, goals, and relevant work experiences, you can speak in a natural language. Meaning, you can omit unnecessary formality and just be yourself. Aside from first impressions, employers are very particular to the attitude of the applicant. Why did you apply for the company? Is it only to earn a regular income? To be not called a bum? Whatever your reasons are, what’s important is that you have the enthusiasm for the position you applied for. If the interviewer thinks that you are not passionate or that enthusiastic about the job the greater the chance that you get rejected. How can you show them that you really like and badly want the job? You have to prove them that you can contribute something to the company. Tell them the unique abilities that you bring to the organization. Know everything about the job and show them why you deserve the position. As you enter the room, always greet the interviewer and smile. When you are talking to them look at them in the eye. Wait for the interviewer to ask you to sit down. After the interview, don’t forget to say thank you for taking the time to meet you and the opportunity to be interviewed. Send a follow-up letter and be grateful for the information or suggestions you got from the interviewers. 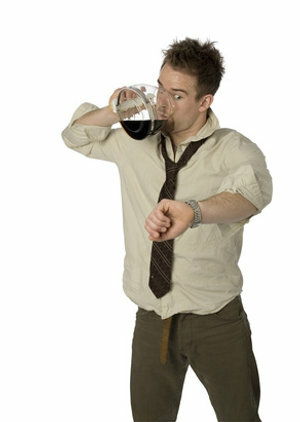 Punctuality is one of the skills that employers look for their potential employees. A job interview is vitally important to the applicant as well as to the interviewer so you must never be late. Whatever your reasons are, once your late you will not get an another chance to be entertained anymore. The interviewer might have a busy schedule so an ample amount of his time is very precious. You cannot just say that you are very sorry for being late and just reschedule the interview. Remember, you are the applicant. You need the job more than they need you. There are other more applicants that they can accommodate for the position. So the only choices that you have is to be punctual on your job interview or lose the job. Author: Candace Meyer is a researcher and writer for au.essayontime.com. She is presently taking her master’s degree in communication arts. She loves to blog, travel, and have an enthusiasm in nature photography.